APPLE IPHONE 5 ARMBAND. The ideal armband for quick access to your phone and for listening to music while on the go. COMPATIBILITY - Use your armband with the iPhone 4/4S & 5/5S/5C phones. You can wear it over your biceps or on your forearm. There is even a slot for your house key which we all know can be a lifesaver. This armband is also great for high intensity workouts, yoga or even casual walking or outdoor activities. PROTECTION - The touchscreen is fully accessible through the plastic cover. 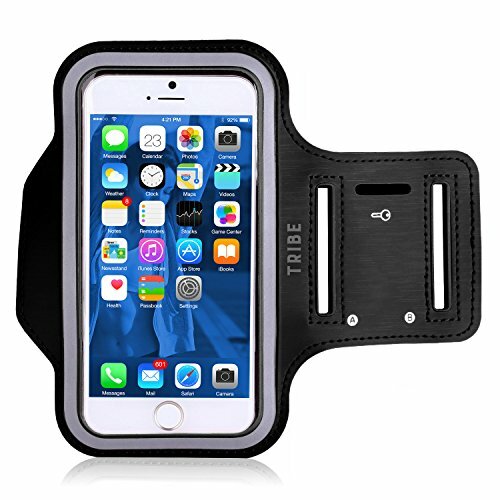 The armband pouch and cover keeps your phone safe from impact while working out. SIZE - This armband is lightweight and fits arm sizes from 9 to 15 inches. Also we recommend that you use this armband without a case. For those of us with larger arms please see our armband extender which is sold separately. CARE - This armband can be safely hand washed and air dried after use. APPLE IPHONE 5 ARMBAND. 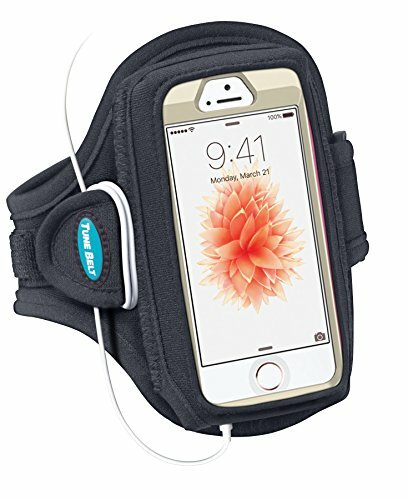 The ideal running armband for quick access to your phone and for listening to music while on the go. 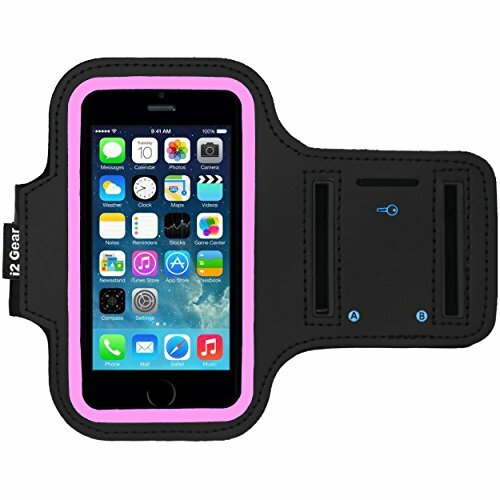 COMPATIBILITY - Use your armband with the iPhone 4/4S & 5/5S/5C phones without a case. There is even a slot for your house key which we all know can be a lifesaver. This armband is also great for high intensity workouts, yoga or even casual walking or outdoor activities. PROTECTION - The touchscreen is fully accessible through the plastic cover. 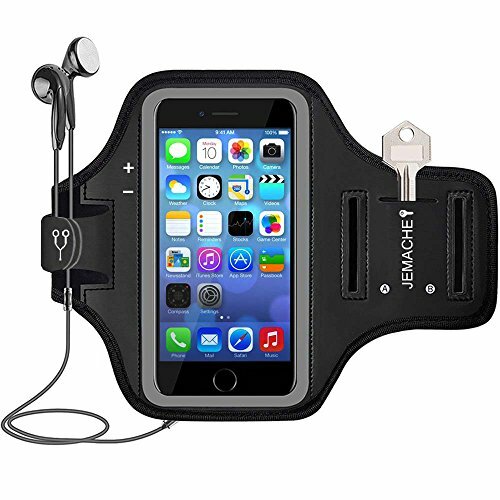 The armband pouch and cover keeps your phone safe from impact while working out. SIZE - This armband is lightweight and fits arm sizes from 9 to 15 inches. Also we recommend that you use this armband without a case. For those of us blessed with larger arms please see our armband extender which is sold separately. CARE - This armband can be safely hand washed and air dried after use. 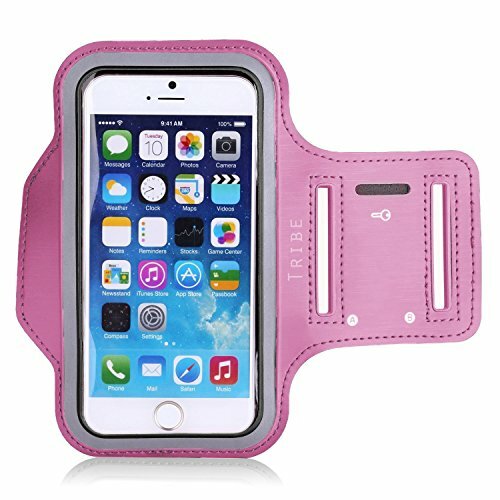 JEMACHE Sports Running Armband case The armband perfect fit for iPhone SE/5/5S/5C, and Compatible with 4/4S, iPod Touch 6th Generation and iPod Touch 5th Generation. Prevent Torn Apart: The armband features a strong fabric trim, preventing torn apart during vigorous exercises. Sweatproof and Washable: The armband is made of stretch resistant neoprene which is also sweat resistant and washable. Fiexible Unisex Arm Girth: Adjustable Velcro band supports a wide range of arm girth 7.9" (20cm) to 14.9" (38cm). Strengthed Velcro and Feel Comforable: Comfort-grip keeps the band firmly on your arm during workouts and running, it will securely hold your device in place. Highly Sensitive: The face cover is made of a clear scratch resistant material enabling touch compatibility during your activities without sacrificing touch screen sensitivity. Convenient and Beautiful: Headphone and charger cutouts allow direct access to the phone through the armband. Hidden jack design, without sacrificing perfet outlook. Built-in Key holder and Card Slot which allows for safe storage of ID, credit card and cash. APPLE IPHONE 5 ARMBAND. The ideal armband for quick access to your phone and for listening to music while on the go. 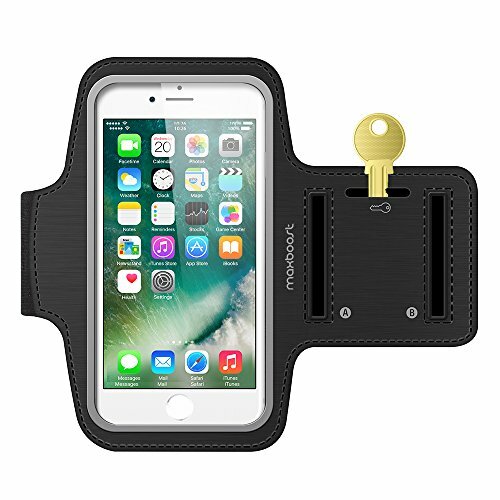 COMPATIBILITY - Use your armband with the iPhone 4/4S & 5/5S/5C phones. There is even a slot for your house key which we all know can be a lifesaver. This armband is also great for high intensity workouts, yoga or even casual walking or outdoor activities. PROTECTION - The touchscreen is fully accessible through the plastic cover. 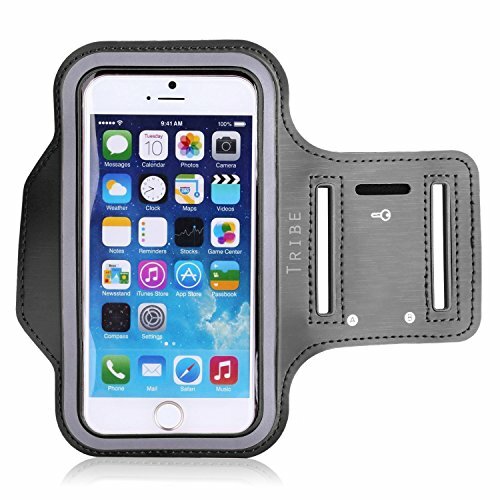 The armband pouch and cover keeps your phone safe from impact while working out. SIZE - This armband is lightweight and fits arm sizes from 9 to 15 inches. Also we recommend that you use this armband without a case. For those of us blessed with larger arms please see our armband extender which is sold separately. CARE - This armband can be safely hand washed and air dried after use. 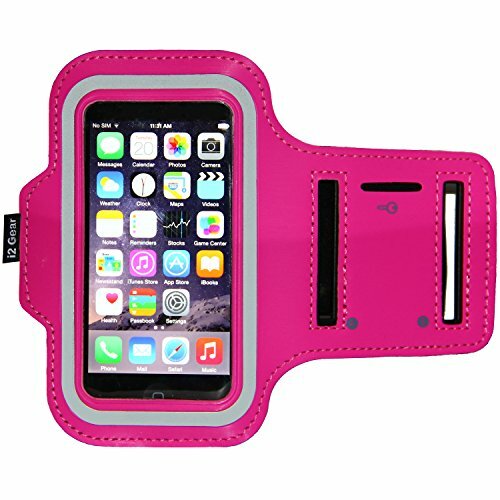 Compare prices on Iphone 5 Armband Running at ShoppinGent.com – use promo codes and coupons for best offers and deals. Start smart buying with ShoppinGent.com right now and choose your golden price on every purchase.